This week, CENTURION welcomed delegates from all over the continent to celebrate the official launch of the FAAC range into Africa. 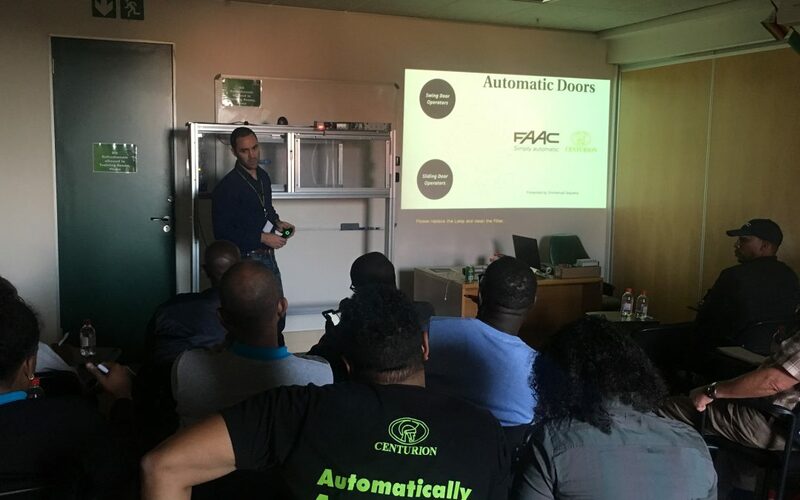 Representatives from nine African countries – including Angola, Kenya, Malawi, Mauritius and Uganda – visited CENTURION’s head office in Johannesburg, South Africa, for a formal introduction to FAAC’s door automation stable, which includes swing and sliding door operators. Manufactured at FAAC’s plant in Bologna, Italy, the brand’s solutions are world-renowned for their use of only the finest quality components and have become synonymous with quality, reliability and a flair for superior aesthetics. With their robust mechanical construction and innovative design, FAAC access automation systems are well suited for the harsh African climate and extreme weather conditions. 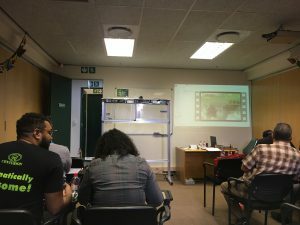 According to John Lufuluabo, exports consultant for Francophone Africa, the exclusive event aims to showcase the absolute finest that the world of access automation has to offer. “These products really represent the crème de la crème of security technology, which is what the African market demands”, explains Lufuluabo. 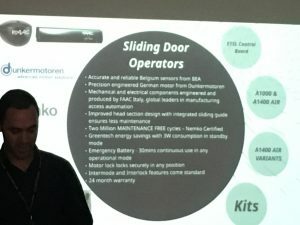 FAAC door automation specialist Emmanuel “Manny” Sequeira added to this by saying that “[FAAC] Automatic door products are in a league of their own. The A1000 and A1400 sliding door models, for example, are able to perform a mind-blowing two million maintenance-free operations”. In addition, the use of FAAC’s patented Greentech energy-saving technology means that these systems are much kinder to the environment than most other door automation solutions. 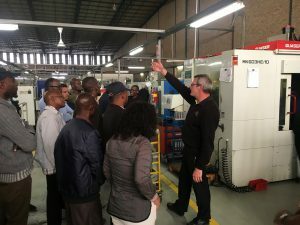 After attending a series of in-depth training sessions and product demonstrations, including a presentation by none other than CENTURION sales guru Scott Wilson, the delegates were treated to a guided tour of CENTURION’s 15 400m2 manufacturing facility.